The legal industry is radically different than it was just a decade ago. This presents both challenges and opportunities for young law firm associates. No longer can young lawyers sit back and wait for opportunities to fall into their laps. But never before have more tools and options been available that allow entrepreneurial-minded lawyers to stand out and rise to the top of the profession. 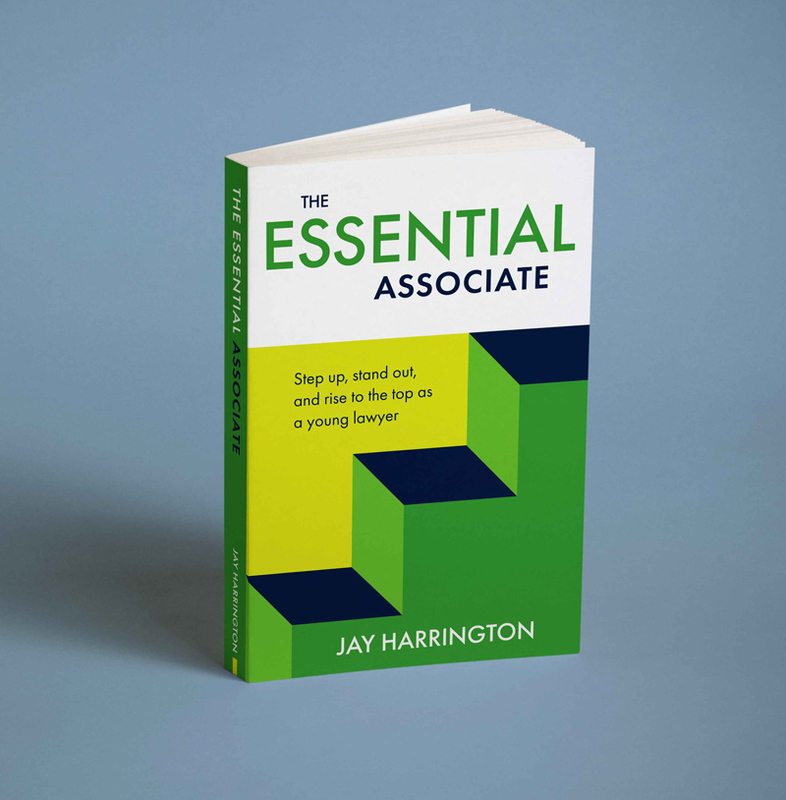 Jay Harrington’s new book, The Essential Associate, is an Amazon best seller that helps young lawyers not just survive, but thrive in today’s competitive law firm environment. It is a step-by-step guide for mastering both the practice and business of law, and includes the insights of dozens of successful lawyer, general counsel at Fortune 500 companies, and leading consultants to the legal industry. Interested in buying multiple copies? A 10% discount will be applied at checkout for orders of ten or more copies. In addition, for bulk orders of 100 or more copies, or if you need copies shipped to multiple locations, please contact Jay Harrington at jay@hcommunications.biz. If you prefer, you can purchase The Essential Associate on Amazon—both print and Kindle versions available. Thank you! We hope you enjoy the first chapter of Jay Harrington's new book. 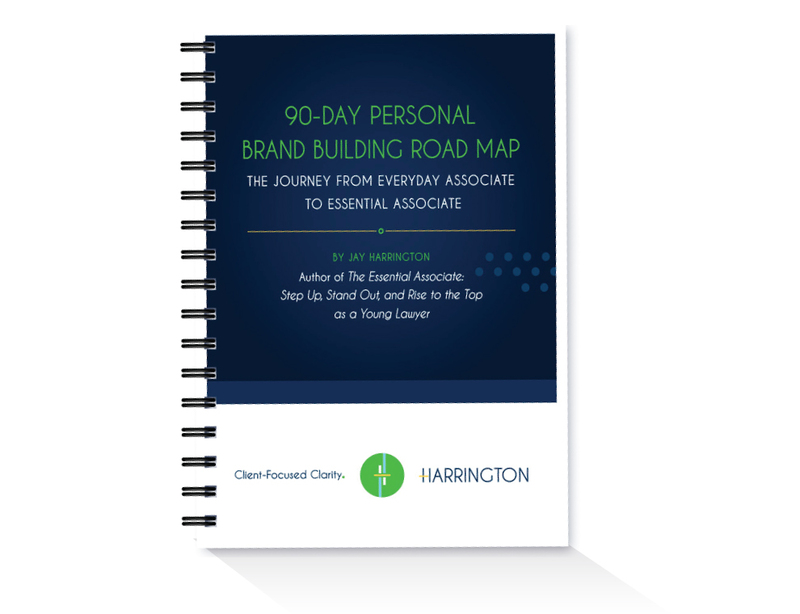 The “90-Day Personal Brand Building Road Map” builds on the lessons taught in The Essential Associate, and will help you to put its prescriptions into practice. It includes twelve weeks worth of activities and action steps that will help you craft your personal brand and project your expertise to the marketplace. Want to build a strong network and reputation that lays the foundation for future business development? This Road Map will help you to gain momentum and move forward on the actions necessary to build a book of business. If you'd like to distribute the Road Map to multiple attorneys in your firm, please contact Jay Harrington for bulk pricing. Interested in having Jay Harrington speak or conduct a workshop for your law firm’s associates or summer associates? Jay is available to present in-person at associate gatherings, retreats, and training events, as well as digitally via webinar. His talks and workshops cover several areas of associate professional development, such as personal branding, network building, and productivity. Contact Jay at jay@hcommunications.biz or 313-432-0287 to discuss your firm’s needs and pricing. Speaking and workshop pricing discount available to firms that purchase 50 or more books. Want to go even deeper and accelerate your progress toward becoming an Essential Associate? In October 2018, I will be launching The Essential Associate Academy, which is an online training program that teaches young lawyers in their first or second year of practice how to excel at legal marketing, business development, and personal brand building. It also addresses how young lawyers can gain strength in the Five Characteristics, including productivity, growth-mindedness, and accountability, that are necessary to achieve success in the practice of law. The program prioritizes strategic planning and being action-oriented, and includes elements to ensure accountability. The Essential Associate Academy takes place over a six-month period and involves live webinar training sessions taught by Jay Harrington and other top experts in the fields of productivity, personal branding, business development, writing, public speaking, and more. Live training sessions are supplemented by exclusive content, live webinar Q&A sessions, instructional guides, and a private online community in which to share insights and information, and interact with peers in the profession. Are you doing what it takes on a consistent basis to become a successful lawyer in today’s competitive marketplace? Join The Essential Associate Academy and immerse yourself in a dynamic learning environment for growth-minded young lawyers. Click below to learn more about The Essential Associate Academy, and to be notified when registration opens (which is expected to be July 2018).